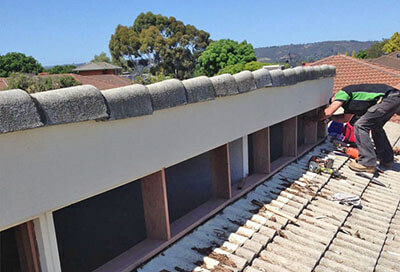 Welcome to SDWETC, a South Australian business with over 34 years experience. All of our 6 technicians are fully qualified carpenters. Project quotes are undertaken by our two joint owners. And our access to parts and product brands is second to none. This all adds up to quick, reliable, efficient service for you … we guarantee it. We fix around 90% of door and window problems for about 10% of the replacement cost. Try our *free quote program, you won’t be disappointed. However, if you’re not sure what you need or if something needs fixing or replacing phone or email us and let’s talk about your options. "These guys were fantastic. They responded quickly to my job and had the job done the next day for a reasonable price. Thanks." "Thank you for the service received by your company. Your worker Matt was very polite, friendly, knowledgeable and on time. Extremely impressed with the service I received." "I used Luke from Specialist Doors & Windows to replace a handle and get some new rollers placed on a door which was done with supreme efficiency. Thank you"
"... very prompt in responding and very thorough with the job in cutting the door and moving it to the other side of the shed. It was a difficult job but they did it successfully. They treated me very well as a customer and I was happy with their service." "... very quick and reliable, friendly and approachable." "Thrilled with the work that was completed, the workman were so clean, tidy & lovely. Definitely recommending us to Family & Friends. Thanks again." 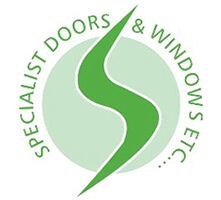 "I was very impressed with the job and tradesman and would recommend Specialist Doors and Windows Etc. to my family and friends". "They were fantastic! They were the first to call and give us a great quote. They were prompt & on time left thing clean and tidy after the work." "This company operated a very efficient effective service and the repairs have made our sliding door as new for a very reasonable cost"
"Very happy with Matt's workmanship, he has a wonderful personality, was very polite and prompt." "Very good! The tradesman are very professional the job was done properly and I'm happy with the service." "Yes we very satisfied with the workmanship. I did not have the sliding door replaced as the person who came put in an overlay track for $285. This has saved us in excess of $3,000." "Tradesman was very polite, friendly, knowledgeable and ON TIME! I was extremely impressed". "Tom and Dan were very polite and courteous young men. It was a bugger of a job but they persevered. I am extremely happy!"